The Lanre Da Silva Ajayi womenswear brand embraces feminity, structured silhouettes, art and intricate details. The eponymous brand is also known for embellishments and couture-inspired outfits that embraces the feminity of the woman. LDA works with bold prints, floral patterns, she plays with different fabrics, textures and patterns to achieve that bold, feminine look for her clients. On the red carpet, women who are in tune with this concept go for the brand. Many times we have wondered how stylish renowned actress and producer, Rita Dominic appears each time she graces the red carpet. Rita has quite a taste and picks only top notch designers and LDA is one of them! From the LDA collection’s Rita is perfectly styled and never fails to receive media attention. We loved the “style affair” between Rita Dominc and LDA-they look perfect together! With Rita’s personalty that is strong and at the same time feminine, the LDA brand fits just right. 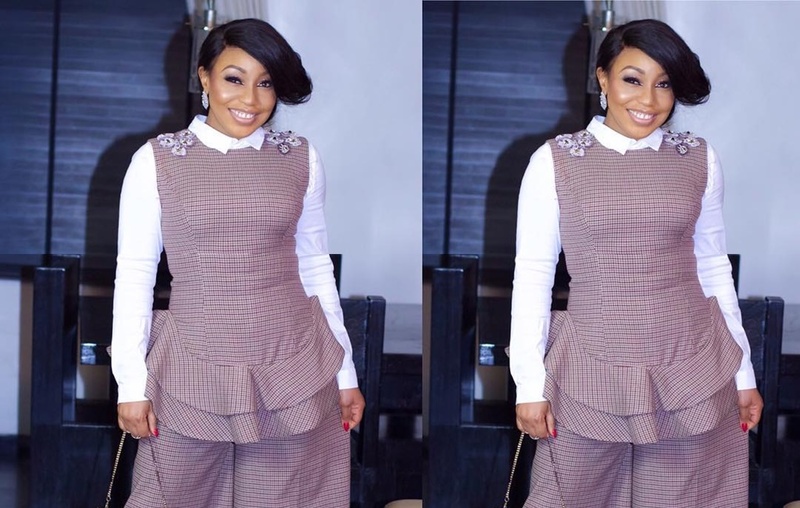 This look just explains the bold, strong and feminine personalty Rita Dominic portrays! A bit of a crisp white shirt matched with a sleeveless peplum top and palazzo pants. How stylish! Rita definitely is so gorgeous in her LDA at the Africa Movie Viewer’s Choice award! She stuns in a structured dress with bold ruffle details. Bold prints don’t lie! They bring out the gorgeousness in her! LDA opts for a mid-length dress with a huge bow details attached to the neck. We scores a major point on this look! The queen! Rita stuns in a mesh black dress at the just concluded #baad2017 traditional wedding ceremony in her LDA dress! Did we think that LDA couldn’t pull off a traditional piece? We loved Rita the more when she stepped out “wowing” the world in her two-piece igbo traditional attire. The intricate designs on the fabric and of course she has a thing for bows. CelebrityfashionkamdoraLanre Da Silva Ajayired carpetRita DominicStyleVickie O.